Osteitis pubis is an inflammation of the pubic symphysis joint. The pubic symphysis joins the two pubic bones at the front of the pelvis. Osteitis pubis is an overuse injury caused by excessive kicking or abdominal muscle contraction. The main muscles of the abdomen are active during these activities. These muscles join to the pelvis close to the pubic symphysis. Repetitive and intensive use of these muscles, it appears, may give rise to local inflammation near the pubic symphysis leading to the development of osteitis pubis. Osteitis pubis presents as a dull ache in the groin region aggravated by running, kicking or sit-ups for example. A resisted sit-up is one test used by a physiotherapist suspecting the diagnosis. Unfortunately, osteitis pubis is difficult to treat and can lead to a number of months off sport. 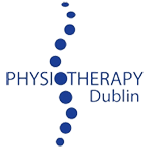 If you suspect that you have the condition you should consult a local chartered physiotherapist. You should avoid activities that aggravate your symptoms in the mean time. Imaging may be required such as MRI or X-Ray to confirm the diagnosis. If confirmed, a period of absence from sport is often necessary. Management of the condition involves the taking of anti-inflammatory medications, stretching and strengthening exercises and a graded return to sport.